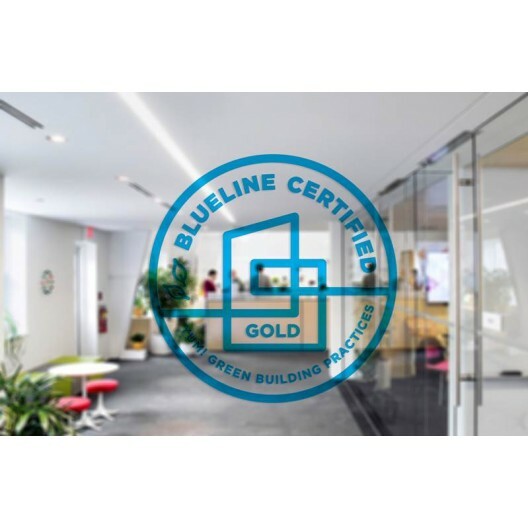 These translucent stickers display the Blueline Certified logo with your building’s certification level. You may choose to have the printing reversed for application on the interior of the glass or on the front for application on the exterior surface of the glass. Available sizes are 8”, 6” and 4” diameters.